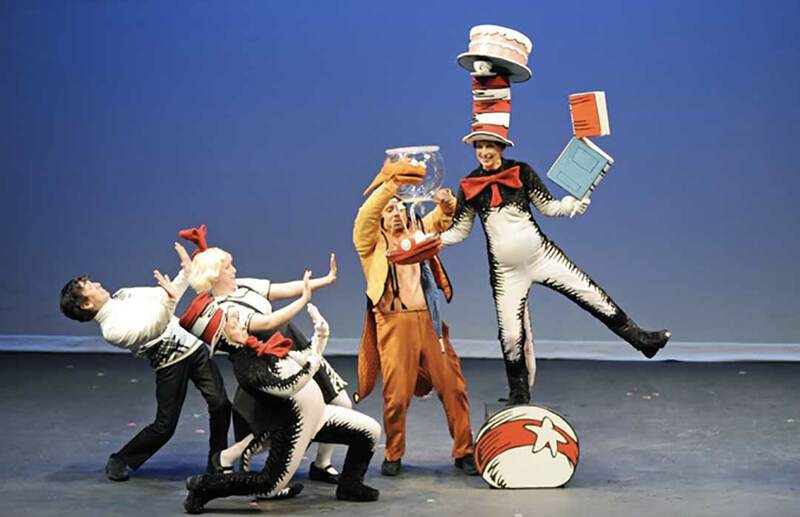 If anyone knows how to have fun, it’s the Cat in the Hat and the storybook will come to life Sept. 27 at the California Center for the Arts. “(The performance) feels just as youthful and exhilarating as reading a Dr. Seuss book,” said director David Barker. Nonprofit theatre company Childsplay is among a handful of companies in the U.S. putting on the performance and it comes to the Center for the Arts for only one day. The show will introduce children to themes of rhyme, imagination, literacy, responsibility and creativity. The story follows the Cat in the Hat, a mischievous cat in a tall red and white-striped hat. Sally and her brother get the surprise of a lifetime when a rainy day is transformed into a fun-filled romp through their home, complete with Thing One and Thing Two. The 45-minute show is recommended for children in grades pre-Kindergarten through 4th grade with shows at noon and 3 p.m.
Tickets range from $12 to $18 and the San Diego Children’s Museum, which is across the street, is offering free admission to attendees. An optional discussion follows the performance.